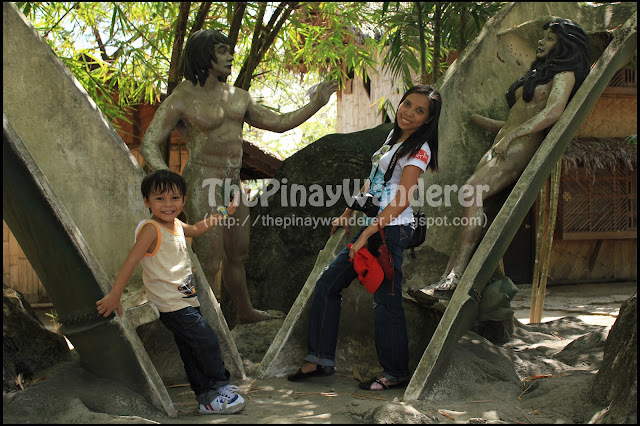 Home » Clark , Nayong Pilipino , Pampanga , road trips , theme park » Pampanga | Nayong Pilipino: realizing a childhood dream! Pampanga | Nayong Pilipino: realizing a childhood dream! In Metro Manila and nearby provinces, field trips and excursions are part of annual school activities, especially in the private schools. But in far-flung areas and remote barangays like the one I once lived in Oriental Mindoro, field trips and excursions are unheard of activities in school. I've never experienced field trips during my elementary days. In my high school days, though Batangas is near Metro Manila, we had but only one field trip. It's an educational tour to the Planetarium, the Luneta Park, a museum (I forgot what museum) and SM Store (educational tour(? )...and as if we have money to buy souvenirs...hehe). 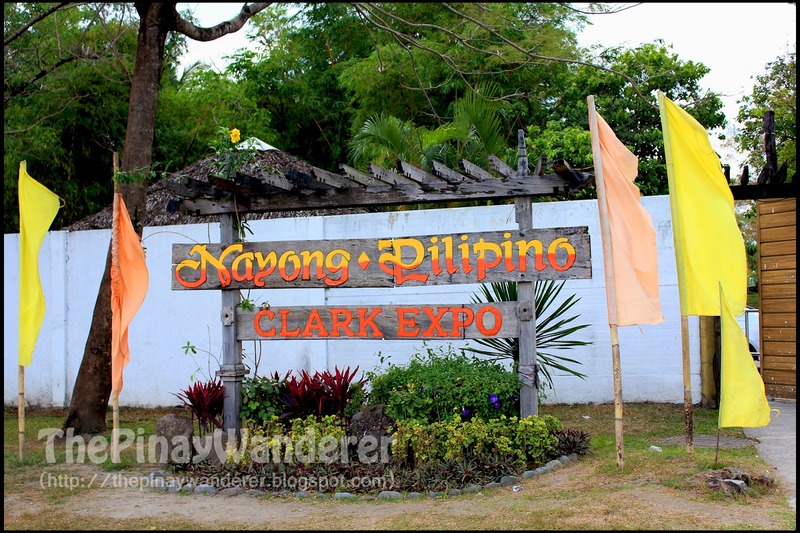 But we haven't had a chance to go to Nayong Pilipino. I don't remember where or how I got to know the place but I do think that I'm hoping to visit Nayong Pilipino way back in my high school days. 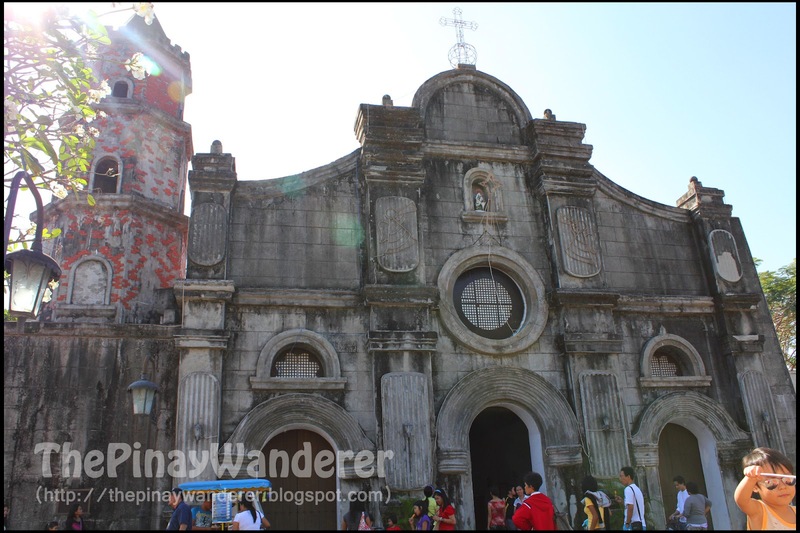 I heard then that by visiting Nayong Pilipino, I would be able to have a look of the entire Philippines through the miniature versions of some of the tourist attractions of our country including witnessing the lifestyle of some of our country's indigenous people so I dreamed of going there back then. Unfortunately, it was not included in our field trip then. The Nayong Pilipino I used to know is the one located near the Ninoy Aquino International Airport (NAIA). I thought it was closed already but my recent online research showed that it wasn't. According to the website I read, it's still open and is accepting tourists and visitors and take note, without entrance fee. Nayong Pilipino is a cultural theme park that features replicas of tourist and historical sites of our country. It also features different native villages that display the traditional shelters or houses as well as the lifestyle of the locals in the particular area. It also features cultural presentations that showcase the talents of Filipino performers through folk dances and other cultural shows. 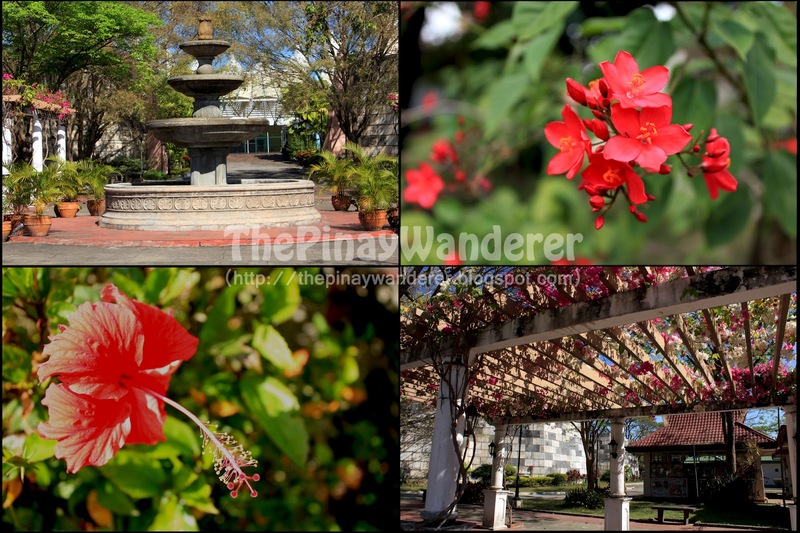 Our trip to the Nayong Pilipino was not really a planned visit. After enjoying the hot air balloon festival, we're supposed to go straight to Paradise Ranch, Clark's nature and conservation park. However, we made a wrong turn somewhere inside Clark, hence we ended up in Nayong Pilipino. Since visiting this park is a childhood dream, we decided to drop by and have a look of the park. It was past 9am when we reached the park. It's still early but several buses and private vehicles were already parked inside. We first took our brunch (breakfast and lunch at the same time) in the park's so-called canteen since we haven't had our breakfast yet. After the "brunch", we then explored the park. 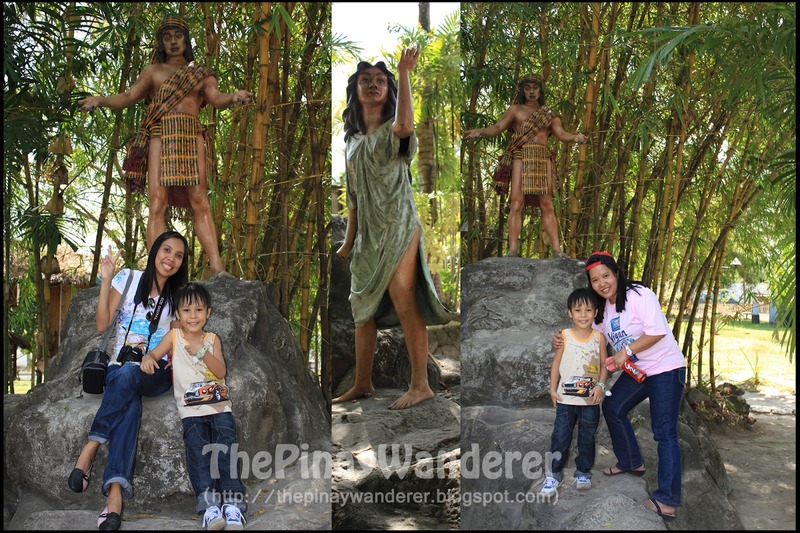 Here are some of the attractions that we saw in our short and rush visit to this famous field trip destination, Nayong Pilipino. Barasoain Church is originally located in Malolos Bulacan. It is the seat of Philippine Revolutionary Congress which convened from September 15, 1898 to the last week of February 1899 under the Presidency of Pedro A. Paterno. The drafting of Malolos Constitution and the inauguration of the Philippine Republic on January 23, 1899, the first constitutional democracy in Asia took place in this church (source: the church's marker). 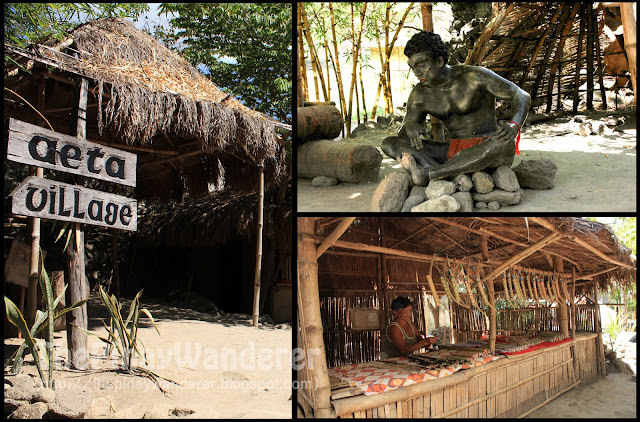 Nayong Pilipino showcases several tribal villages which include the Aeta and Ifugao Villages. Aeta Village features traditional huts where the Aetas sell native products like bamboo flutes, wooden toys and other bamboo- and wooden-made products. 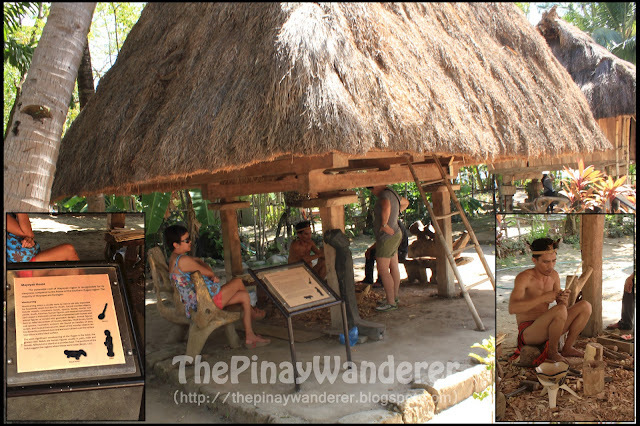 In the Ifugao Village, several traditional houses were also featured like the Ayangan and Mayoyao houses. 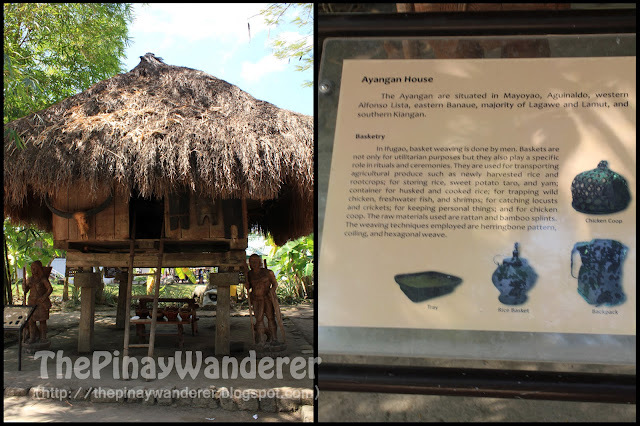 Ayangan and Mayoyao houses were made of bamboos and cogon grass and stand on four sturdy wooden posts. Mayoyao houses differs from that of other Ifugao traditional houses in terms of the steepness of their pyramidal roofs, Mayoyao's are very steep while the Ayangan's are not. Under these houses are tribal villagers who posed for the visitors. Others are there to showcase their talents like carving and basket making. 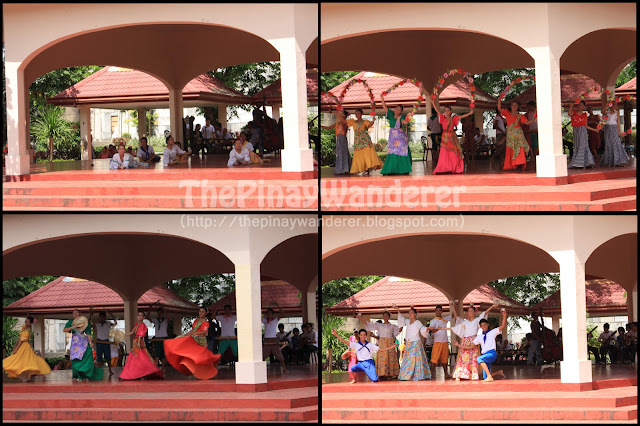 Nayong Pilipino also hosted cultural presentations and folk dances. We were lucky that a presentation was scheduled during our visit so we were able to watch performers do some of our traditional dances like pandanggo sa ilaw and our national dance tinikling. After the presentation, the dancers asked for audience participation, inviting everyone especially the foreign visitors to go folk-dance with them. It's a good presentation, everyone appreciated their performance and were happily applauding while watching them perform. Tagal n yung last visit namin sa nayong Pilipino yung malapit sa airport. Maganda ba yang sa Clark? Hope we can visit here naman so i could show my son how rich our culture is. PS din...gaya-gaya lang... Editor in chief ka ba ng travel mag? or ikaw ang owner? Hehe...sa dami ng pinuntahan mo, medyo malayo sa katotohanan na mapuntahan ko rin sila, unless mag-work din ako abroad. Hmmm, sana may kumuha sa 'kin ng work abroad para double purpose, nakapasyal na ko, kumikita pa ko. Hay naku, ang dami ko pangarap...hahaha! Ito ang hindi dapat palagpasin, yung mga ganitong pangyayari na hango sa ating kasaysayan at mayaman na kultura. Naappreciate ko ang ganitong mga lugar at ang entry mo na to, salamat. Sana mapuntahan ko yan at mabalikan din yung Fort Santiago. sige unahan tayo, kaloka lang nung magawi ako dun sa fort santiago di pa uso ang smartphone e nyahahaha 3310 pa walang camera aruyy..
Unahan talaga eh noh, hehe! Hindi ko napuntahan NP-NAIA pero itong sa Clark, okay naman, malaki sya at madami ka makikita, though di namin nalibot kase nga punta pa kami Paradise Ranch. Sulit naman pagkaligaw namin dito, hehe. nung elementary ung fieldtrip namin sa mga farms ng kaklase/schoolmates ko. lol. mas na.appreciate ko talaga ung fieldtrips nung college days (oo, sa humanities subject namin, prang tradition na sa school na mag fieldtrip sa Ilocos/Baguio area...kahit nasa Laguna ung university namin. lol). may field trip din pala sa college, dami ko na-miss...haha! sarap naman ng field trip nyo, Ilocos/Baguio, narating ko na lang yun ng nag-work ako eh. btw, byahe na Maiylah, spend some of your earnings from blogging...haha! oo, may fieldtrips din kahit sa college. hehehe. di makapag.lakwatsa kasi wala na ma-spend: ubos na ang konting kita sa blogging dahil sa online shopping! LOL. don't worry about it. Appreciated for letting me know that you accidentally deleted. hehhehe.you have a nice blog. wala na bang NP sa paranaque? sana mapuntahan din namin ito! Great pics! Ang sharp ah. 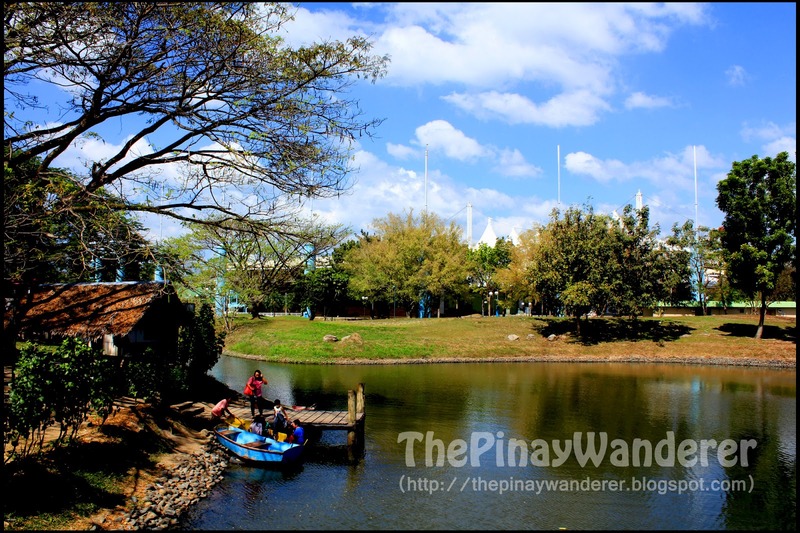 I specially like your photo of the lagoon, parang sa ibang bansa ang mood ng picture hehehe. Nung highschool ako, lagi ko tong naririnig.. Nayong Pilipino. Isa din to sa mga gusto kong puntahan.. Meron mga Boy Scout tours and jamborees yung school namin at kasali ang Kuya ko dun kaya nakapunta sila sa NP. Ako, hanggang ngayon, hindi pa. lol..
Medyo hindi ko na nga rin narinig ang NP.. Dumadami na rin kasi ang mga developed theme and nature parks dito sa Pilipinas. At hindi na sya masyadong napromote. didn't know may nayong pilipino sa clark. this is one of the things you'reglad you got lost, hehehe! my Nayong Pilipino experience was here in Manila near the airport. then in Clark in "Centennial ewan" 194gotten ulet lol. Then my last visit to Clark was about 4 yrs ago yata lol, I had a meeting at Gerry's Grill in Clark SM. di ko pa eto napuntahan. sorry po, no idea though may nabasa ko way back last year na open pa daw, pero di po ako sigurado. Want To Know if Still Open Pa Ang Nayong pilipino? Want To know also If Ok Lng Mag picnic? Want To Know f Still Open Pa Ang Nayong Pilipino? How is The Entrance Fee? If its Ok F Mg picnic Sa Nayong Pilipino?